NEW YORK (UN). March 15 (Interfax) – Russia is not involved in the poisoning of former Russian Main Intelligence Directorate (GRU) officer Sergei Skripal and his daughter in the United Kingdom and stands ready to investigate this situation together with the UK, Russian Permanent Representative to the United Nations Vasily Nebenzya said. “Russia has nothing to do with this incident. We see London’s ultimatums as insignificant. 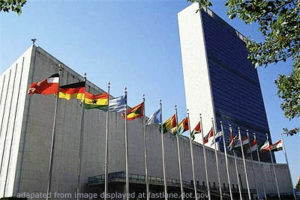 We expect that the United Kingdom will act in strict compliance with the Convention on the Prohibition of Chemical Weapons and other international acts, including the European convention on legal assistance in criminal matters, and will also provide samples of the substance being referred to by the UK investigation in order to conduct a joint investigation since it [the substance] is alleged to have originated from Russia,” Nebenzya said at a UN Security Council meeting. “It is not an optional, but a mandatory requirement under the convention,” he said. “We are ready for such an investigation. We have nothing to be afraid of and nothing to hide,” Nebenzya said.